Our criminal defense attorneys have been representing individuals in New Jersey municipal courts for decades. In addition to the sheer amount of experience we have, our team includes an attorney certified in DWI defense and a former prosecutor. These qualifications allow us to anticipate and rebut the State’s arguments. If you have been charged with a crime and need assistance, please call us. At LS&P Lawyers each of our attorneys is dedicated to achieving the best possible outcome for our clients. Why would I appear in New Providence Municipal Court? 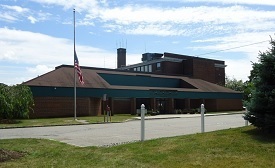 New Providence municipal court is limited to presiding over disorderly persons cases, DWI cases, and traffic infractions. Common offenses and infractions found on the court docket include underage drinking, possession of drug paraphernalia, disorderly conduct, speeding, reckless or careless driving, and driving while suspended. While these may not seem like very serious crimes, the sentences for a guilty verdict can be very harsh. If you are found guilty, you could be facing a large sum of fines, loss of driving privileges, a permanent criminal record, and up to six months in the county jail. To avoid the worst of these penalties, it is wise to hire a qualified attorney who has experience defending these charges. Our attorneys will use their successful strategies and advice to better your defense. The New Providence Municipal Court is presided over by Hon. Donald P. Bogosian. He graduated from Cleveland State University with a law degree and has 38 years experience in Real Estate and Trusts and Estates Law. New Providence is a large borough of 11,171 on the northwestern edge of Union County. It has very low violent and property crime rates, due to the large amount of wealthy professionals and other executives which call New Providence home. However, it is close to Interstate 78, the Garden State Parkway, and the New Jersey Turnpike, which leads to a ton of traffic violations and tickets. Also, 27.8% of the population is less than 18, so disorderly persons offenses commonly associated with teens occur. Common offenses are possession of less than 50 grams of marijuana, underage drinking, simple assault, and criminal mischief. The lawyers of LS&P Lawyers will fight your case aggressively. Our offices are located at 123 North Union Ave in Cranford, NJ 07016. We can be reached by phone 24 hours a day, 7 days a week. Come in for an initial consultation, as always it is free, and we discuss your charge and any possible defenses. You can be confident that LS&P Lawyers will protect your rights zealously.